Murray retained the WBC Silver title when Spada was ruled out due to a cut and it went to the scorcards. 67-66, 68-63 and 69-67 with Spada not very happy about the stoppage. Alvarez won the WBC Silver title. 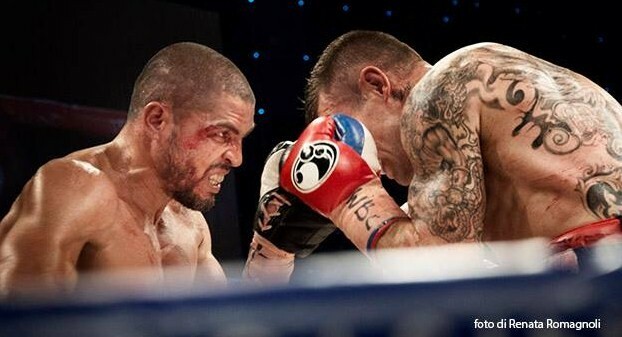 Liebenberg was down in the sixth and stopped due to cuts in round seven. Caballero won the IBF bantamweight title on scores of 116-111 twice and 118-110. Hall was down in the second. Budler, down in the second, retained the WBO/IBO titles on scores of 114-112 twice and 118-108. Zhong was down in the third. 76-76 twice and 78-76 for Blackwell. Golota´s final (?) farewell appearance. 100-91 twice and 99-91. Bone was floored in the fourth and eighth. Povetkin retained the WBC Silver title with a tenth round knockout Carlos Takam. Povetkin ended matters with a lright followed by a left hook and Takam went down and out with the count dispensed with. Takam was ruled down with only the ropes holding him up in the ninth. After eight it was scored 76-76 twice and 77-76 for Takam. After four it was scored 39-37 Takam twice and 39-37 Povetkin. Chakhiev won the vacant EBU title flooring Fragomeni twice en route to a fourth round knockout. Troyanovski won the WBA Int´l lightweight title. Alfaro was down in the third and knocked cold with a left in the fifth. Grant, outclassed, retired after the fifth. The WBC Int´l title was not at stake. WBO Youth and WBO A-P titles, scored 100-91 twice and 99-91. Nyawade was down in the second. de Arcos, a local man, stepped in for a gymmate and was kayoed in the first. Encarnacion retained the EU featherweight title on what espabox.com reports as a controversial decision with the champion up 114-112 twice and 116-110. Giner took a standing eight in first and Encarnacion had a point deducted in the tenth for holding. Medina won the vacant EU superbantam title as he took out Limone with a left in the tenth.